Uxbridge 5 piece The Bedroom Hour make the trip north to launch their debut LP at Manchester's legendary Night and Day. Stuart Ralston joined their army of fans for the show. Unusually, I find myself in Manchester without a gig to go to. A quick tweet from me and the recommendations soon follow. I decide to catch West London's The Bedroom Hour, who curiously have decided to launch their album not in their home city but in Manchester's Northern Quarter. Therein lies a clue to their influences, citing Doves, Elbow, and Joy Division. Manchester on a hot Saturday night is the perfect place to showcase their new album, entitled Hinterland and available through PledgeMusic. I arrive at a packed Night and Day just before they take to the stage. Launching into Themes/Ocean they immediately have the audience in the palm of their hands. 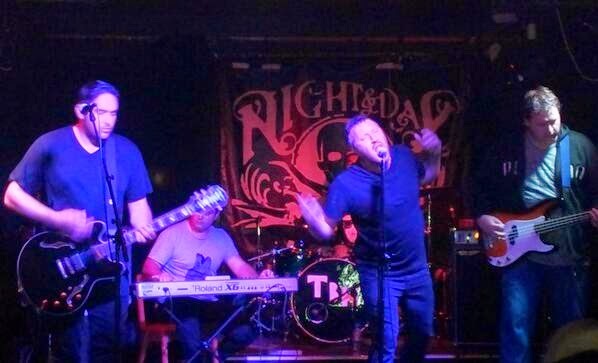 Singer Stuart Drummond relishes the role of front man, jumping into the crowd at any given opportunity. 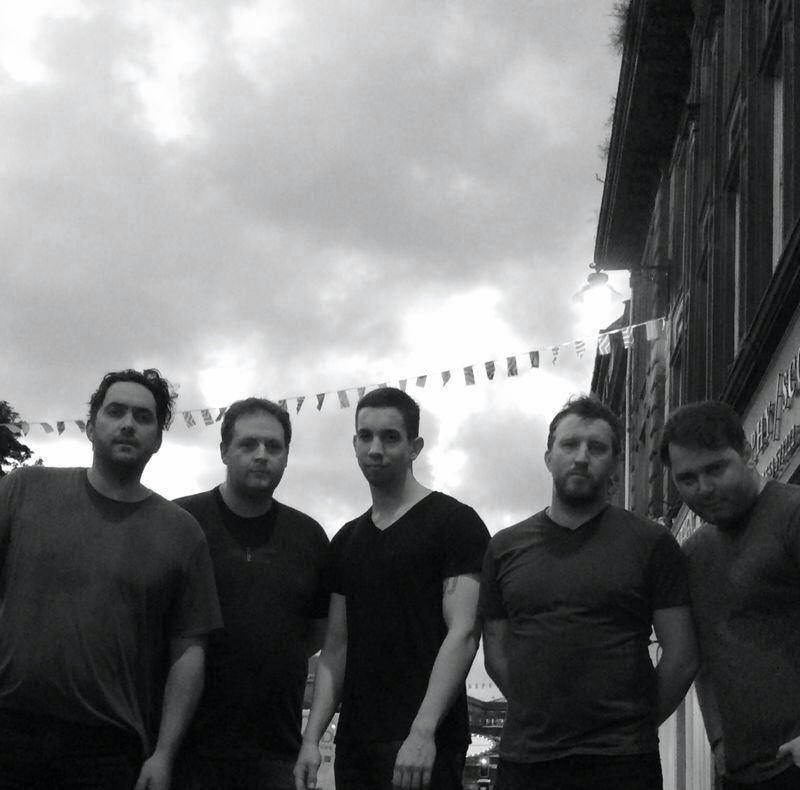 The Bedroom Hour have been championed by Gary Crowley who praised their big, epic sound. Tonight's 40 minute set features almost all of the album they are here to promote and tunes such as Nocturnal (my favourite cut from Hinterland) are indeed epics, helped by the powerhouse drumming of Lewis Cosham. He is a real talent and is reminiscent of My Bloody Valentine's Colm Ó Cíosóig, superbly supported in the rhythm section with Andy Cooper on bass, who plays effortlessly throughout. Broken is another massive song. Although not quiet bordering on stadium rock, the band could head that way. With tunes like No Keys, they might just save themselves from that mantle. Musically, it takes its influence from Joy Division, again with a big vocal from Drummond. Ghost of A Smile slows the pace down a little and has more of a groove than some of their more epic rock tunes showing that the band can reign it in when they have to. For the most part though, they thrive on the big, soaring tunes and their audience clearly adore them. Almost everyone here tonight is filming or taking photos throughout the gig. Set closer Shadow Boxer, the lead track from last year's debut EP is a fan favourite. Shadow Boxer gets the biggest reaction of the night with the band sounding incredibly tight and driven. Both the band and the audience have a real affection for each other. The Bedroom Hour clearly love what they do and they are not afraid to wear their influences on their sleeves. On this performance, their future looks promising. The Bedroom Hour played: Themes/Ocean, Sea Without Water, Nocturnal, X Marks The Spot, Broken, Ww/me, No Keys, Ghost of a Smile, I See Suns, A Map Made From My Bones, Hearts Will Haunt and Shadow Boxer. They return to the North West to play Liverpool Lomax on September 13th. The Bedroom Hour's official website can be found here. They are also on Facebook and Twitter. 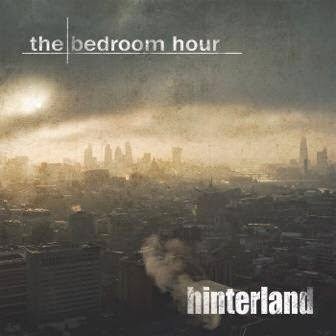 Hinterland is out now and available to buy on CD from their official shop and digitally from iTunes. Main photo by Tony Dunn. Words by Stuart Ralston.